We’ve got vibes, we’ve got fun and we’ve got Bingo. Wink Bingo brings you all the best Bingo games in a friendly, state of the art package. There’s UK Bingo favourite 90 Ball Bingo, as well as 75 Ball Bingo which will keep you captivated with all its different patterns. Life can get hectic, that’s why we have games running 7 days a week, several times a day, so you won’t miss out. 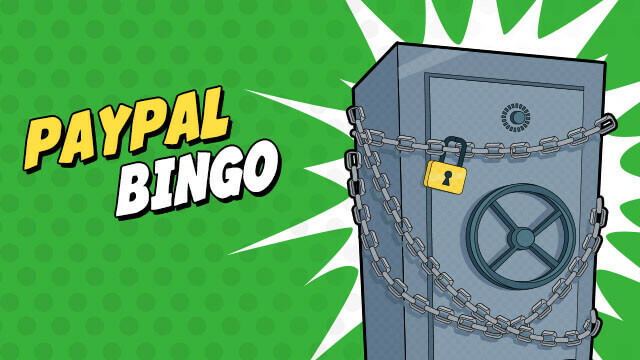 We also up the excitement by offering some amazing Online Bingo Jackpot Games. You’ll find Progressive Jackpots and Guaranteed Jackpot games, some with prizes worth thousands! New players need not feel overwhelmed. Our comprehensive Online Bingo Guide contains everything there is to know about Bingo. We’ve taken the classic game of Bingo and given it a Las Vegas twist. Check out Bingo Roulette, our newest 52-5 Bingo game, and learn the ins and outs of how to play. Bingo Jackpots provide maximum fun with minimum fuss. We've got fine Progressive & Guaranteed Jackpot games for you. You'll be a winner, no matter what! The most famous version of bingo is 90-ball bingo. Players opt-in to a 90-ball bingo game by buying numbered bingo tickets. A caller calls out numbers randomly and if they appear on a player’s ticket, the player covers them or ‘daubs’ them. 75 ball bingo games are formatted with a 5×5 chart of numbers. Each spot on the chart presents a number, apart from the center square, which is labeled “FREE”. As with any kind of online transaction, players need to be aware of the security risks when money is involved. While most online bingo providers are regulated and provide a fair, even and safe service, there are those that don’t play by the rules. Flash Fives Bingo is fun, fast and over in a flash! If you like fast paced action packed games, then you’re going to LOVE Flash Fives Bingo. We’ve attempted to address some of the questions new players might have when first coming to a bingo site - in terms of looking at key questions, terms and financial queries. If you want to learn everything there is to learn about online bingo, then you've come to the right place. This is extensive guide to gameplay covers everything you need to know - from the history of the online game to exciting current developments. Keno – It’s a Numbers Game!